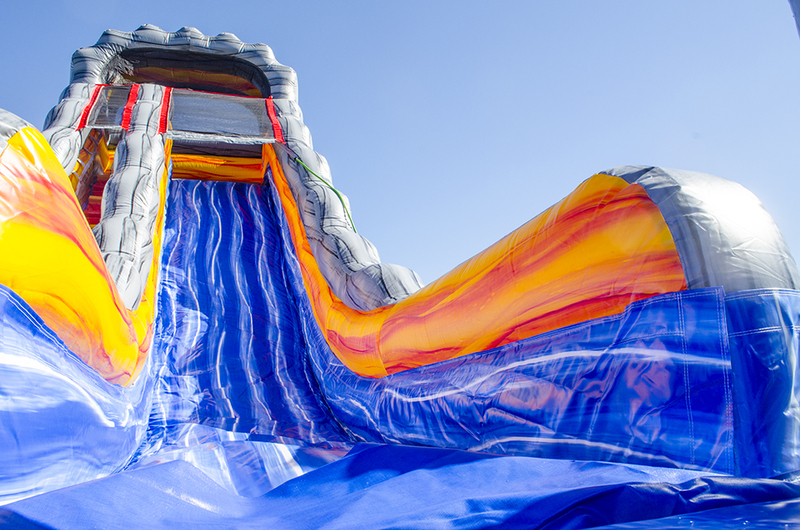 Lava Mountain stand alone slide is a huge inflatable water slide standing at over 22ft high. 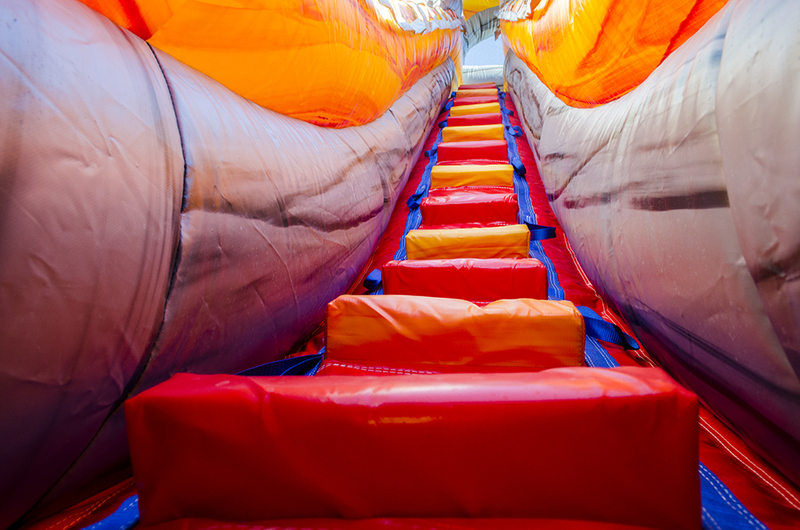 Padded stairs and built in grip handles makes assending easy and desending a blast. 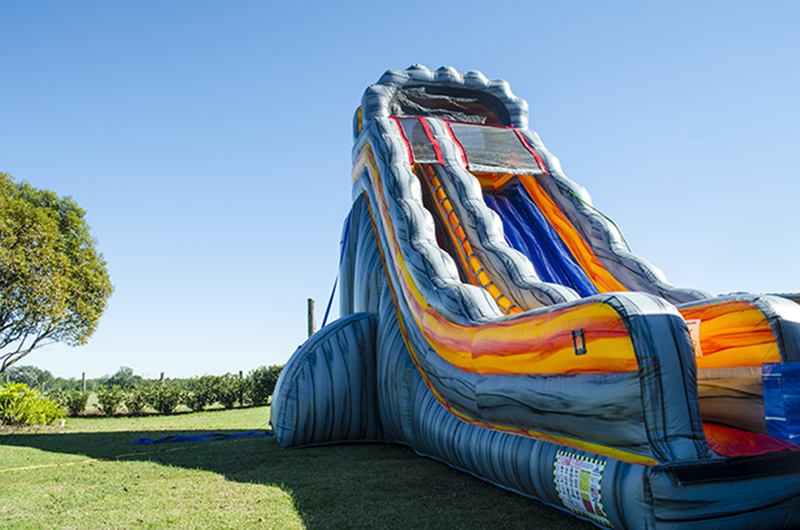 Dual soak system and splash landing pool keep your event cool and fun. This unit can be used by kids and adults. Great for large events and summer parties. 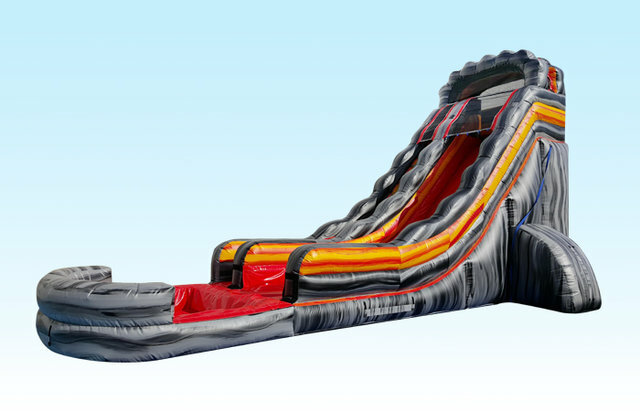 Disclaimer: this slide is enormous, not for the weak of heart.